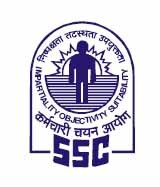 Staff Selection Commission (SSC) has published notification for SSC CGL - Exam, 2016. As per Notification The candidates may please refer to the Revised Scheme of Combined Graduate Level Examination 2016 uploaded on the website of the Commission on 1st July 2016. In the given context, a further elaboration on the Scheme of the said examination is given below for the information of the candidates. (3) Tier-I of the examination is scheduled to be conducted from 27.8.2016 to 11.9.2016. The examination on the first three days viz., 27.8.2016 to 29.8.2016 would be conducted in two batches and thereafter from 30.8.2016 to 11.9.2016, the examination would be conducted in three batches per day. The timings in this regard are given below.